A lot of films are good enough to get by despite lackluster presentation. Run For Cover is one that cannot. It's a minor 50's Western needing all the visual help it can get. What we've had since this one left theatres is a big-screen essential reduced to home-viewed mediocrity. As with so many features made during that decade, Run For Cover was customized for size and scenics. Take these away and you lose the best reasons for seeing it. Run For Cover plays on Netflix and Dish Network's On-Demand. The latter is free to subscribers. Both services are hosts to a transfer Paramount made years ago, being full-frame and cropped to eliminate greater width of Vistavision. You could say Run's a lost film for slim chance that any distributor would bother releasing a proper DVD, let alone Blu-Ray. Run For Cover ranks low among director Nicholas Ray's output, the pic's best assets displayed to first-run audiences but few since. There won't be fair assessment for library titles in general until presentations can at least approach what theatres had. Ray's Bigger Than Life very much got that from Criterion's deluxe Blu-Ray. Would comparable red carpets ever be laid for Run For Cover? I guess it's time to face fact that much beyond the best of our movie past will stay shrunken and past reach of fair evaluation. William Pine and William Thomas were industry-known as the "Dollar Bills." 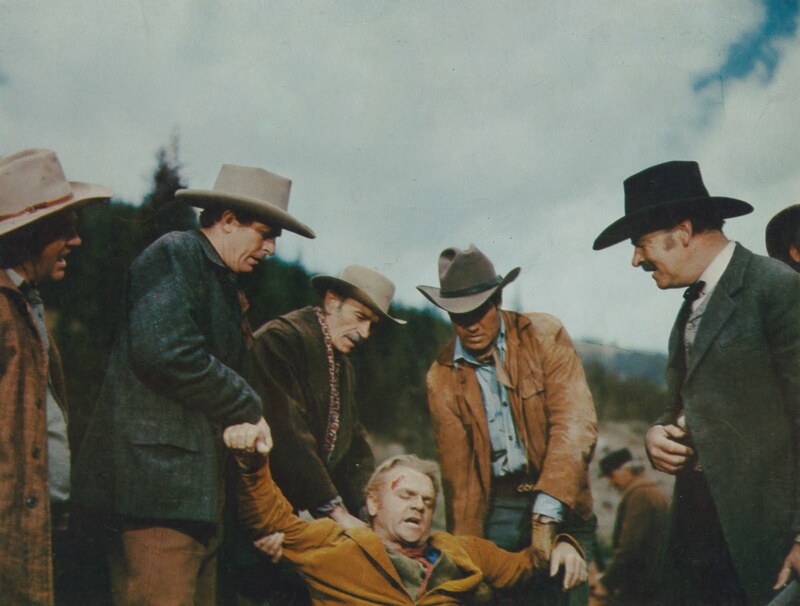 They'd been 14 years producing low-budget actioners for Paramount, having begun with eight or nine small pictures per annum, later upgrading to Technicolor with average costs between $700,000 and $900,000. Now they were looking past million-dollar thresholds toward "A" production with top-echelon casts. Run For Cover would be first in a group into which a total of six million would be invested. For a picture to do business now, it must be large and important, said the producers. Having been press agents in an earlier life, Pine and Thomas viewed selling as locus of fun in the picture business. To usher Run For Cover into said new class, the pair signed famed director William Dieterle in February 1954. They'd make no claim to "artistic" production, a term both Bills abhorred, but class bookings weren't got by using nobody helmsmen, so Dieterle was insurance against their first big-budget effort being confused with previous Pine-Thomas offerings. Paramount's newly introduced Vistavision lent further prestige to P/T's venture. The company wanted a finished backlog of features before unveiling Vistavision with White Christmas, set to open in October 1954. Run For Cover would be completed well before that date, along with six others using the process. Paramount wanted momentum from White Christmas to continue into 1955 and beyond, so it was necessary to have plenty of enhanced screen merchandise in the pipeline to get maximum return on a public's curiosity and hopeful interest. Vistavision, like Cinemascope, used nature's palette to enhance the wider screen experience. Westerns most of all needed vastest canvas, and backlot streets once adequate for square frames in black-and-white wouldn't do now that cameras captured so much more. 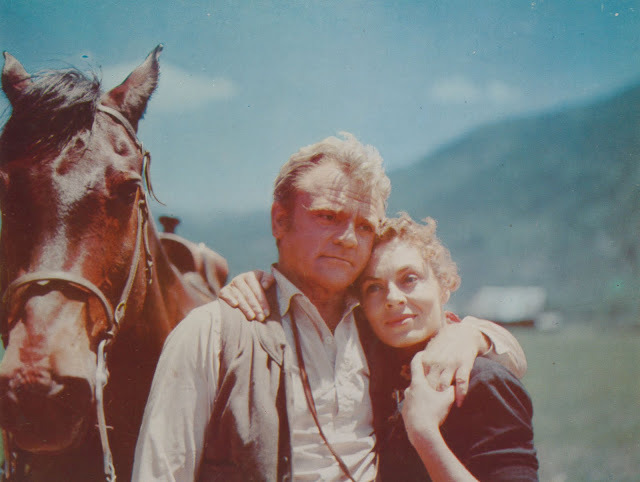 To star was James Cagney, late of his own production company releasing through Warners, now freelancing among studios that would punch his (big) ticket. Cagney exercised director approval and had input to scripts. Once Dieterle, for reasons unknown, was out, the star shared initiative to replace him with Nicholas Ray. This was in mid-March 1954, ten weeks ahead of Run For Cover's shooting start date in early June. Cagney got along with Ray, this not always a given, as the actor regarded many if not most of his directors as functioning dimwits. JC was also proactive in matters of scripting and would go to writers with whatever suggestions he thought might enhance a finished product. He and Nicholas Ray were congenial enough to devise what Cagney later referred to as offbeat touches to differentiate their Western from conventional ones mass-generated by an increasingly genre-focused industry. Cagney liked the idea of using natural locations, in this case Durango, Colorado settings, to justify Vistavision enhancement. According to a later interview with art director Henry Bumstead, thirty or so percent of Run For Cover was Colorado outdoors, with the remaining seventy percent lensed back at Paramount. The script was credited to Winston Miller, who'd previously done My Darling Clementine at Fox for director John Ford. Perhaps it was Ray's, or Cagney's, idea to bring veteran scribe John Lee Mahin to Durango during June to help with a bogging down script. In any case, Mahin spent an uncredited week on the location. 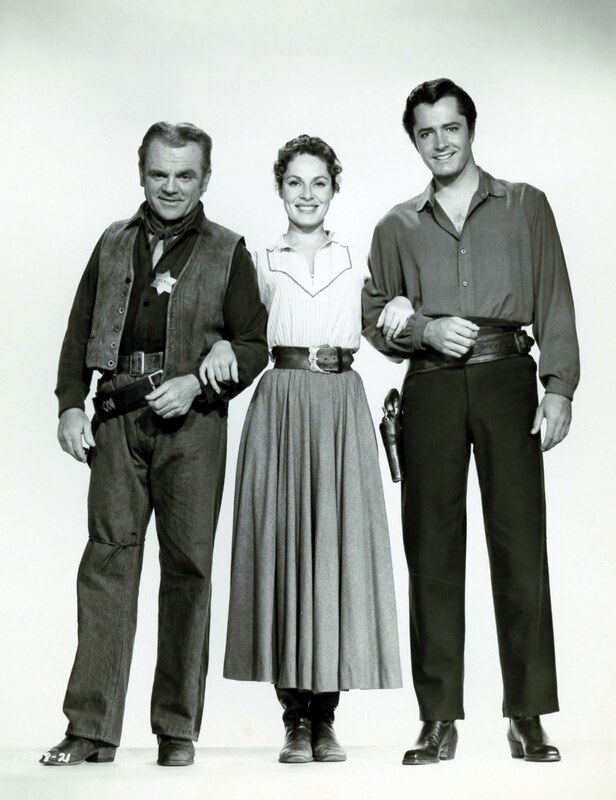 Jim and Mrs. Cagney Pal It Up With An Exhibitor Host During the Star's Run For Cover Promotional Tour. 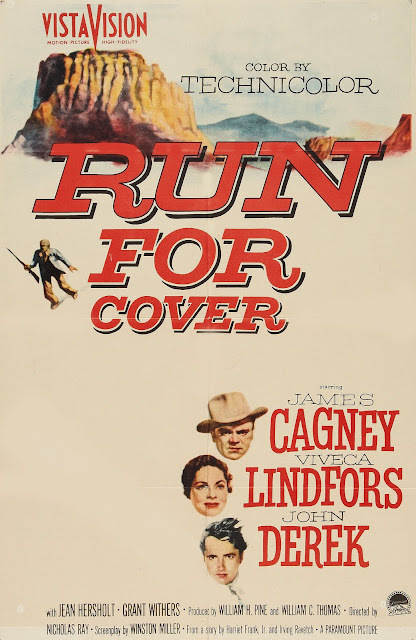 Run For Cover finished that summer of 1954, but would linger on Paramount shelves awaiting the release of White Christmas and 1955's rollout of completed Vistavision features. RFC's premiere took place in Austin, Texas on April 4, 1955, to which James Cagney contributed several days public appearing (the first time in ten years he's been out to meet the people, said Variety). 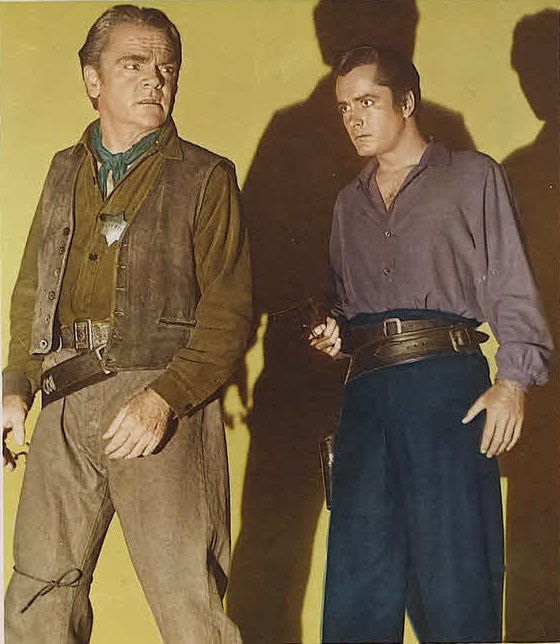 The star was in evidence over continued weeks promoting the film, indication of a percentage participation, if not satisfaction with a western he in fact found disappointing. 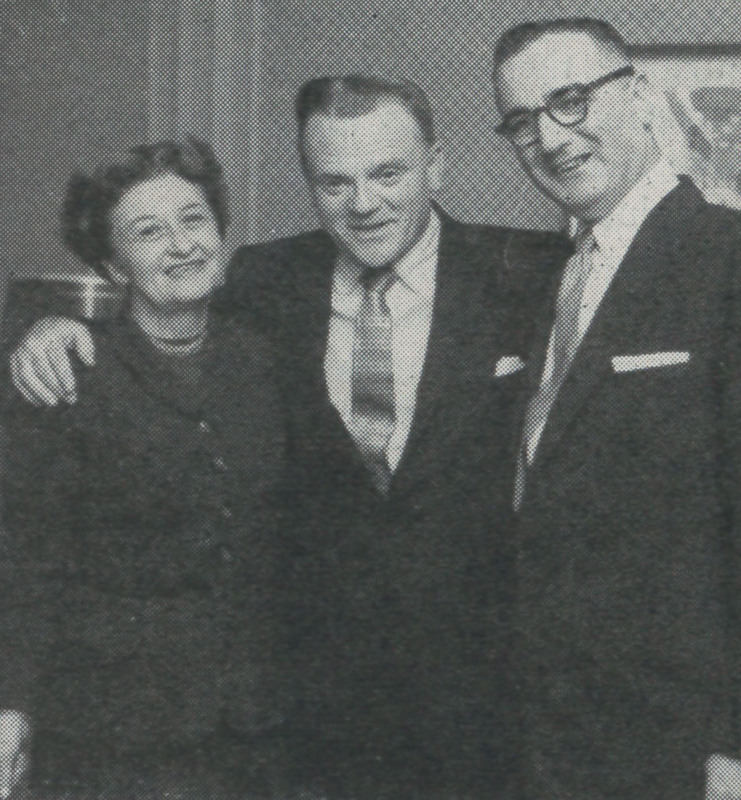 Cagney had attended a projection room Run For Cover screening in February, accompanied by his two children, who, according to Army Archerd, had always wanted to see their father in a western. 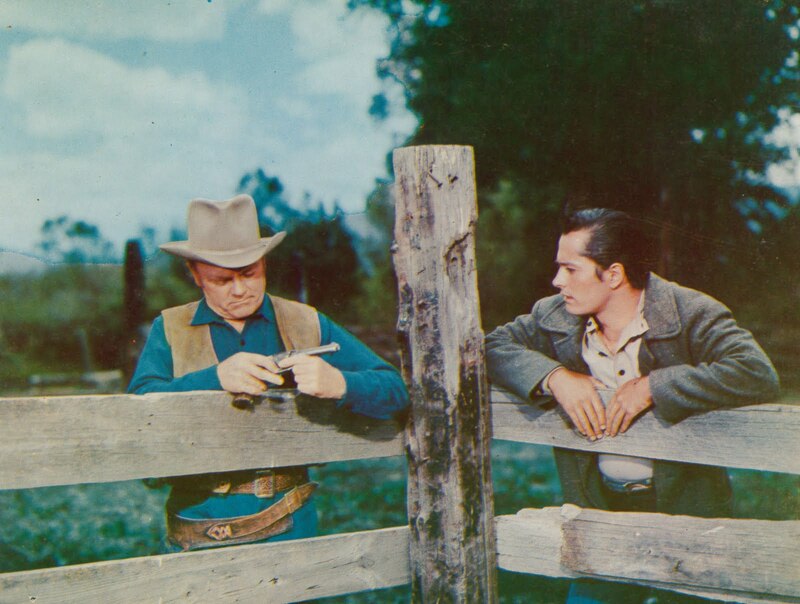 Cagney ducked chaps and spurs since the near self-parody of The Oklahoma Kid in 1939. It wasn't typical of him to attend screenings of a finished work. According to Archerd, Cagney disclosed that of the fifty pix in which he's appeared, Cover was but the fifth he'd seen. The star was not long realizing that nearly all those offbeat touches he and director Ray cooked up were now missing from Run For Cover. Still smarting twenty-five years later when he reviewed a long career with biographer John McCabe, Cagney used explicit language to characterize studio executives who'd once again ruined a project to which he and others seriously applied themselves. 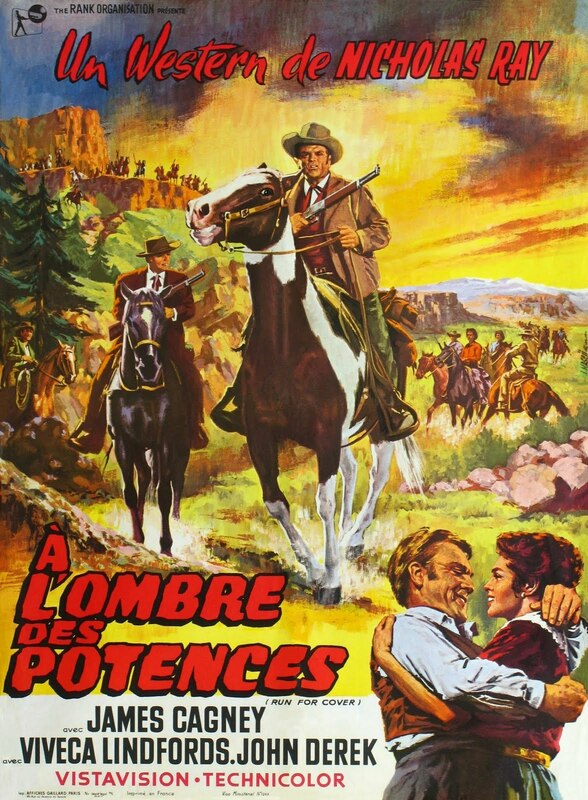 Nicholas Ray's Credit Goes Front and Prominent on this French Poster. Run For Cover's negative cost of $1.2 million was coincidentally matched by domestic rentals in the same amount. In fact, RFC would be one of the lower grossing Paramounts of that year. Was it Cagney or westerns the public was tiring of? Nicholas Ray later said the film deflated because there'd not been enough time to prepare and see it through properly. 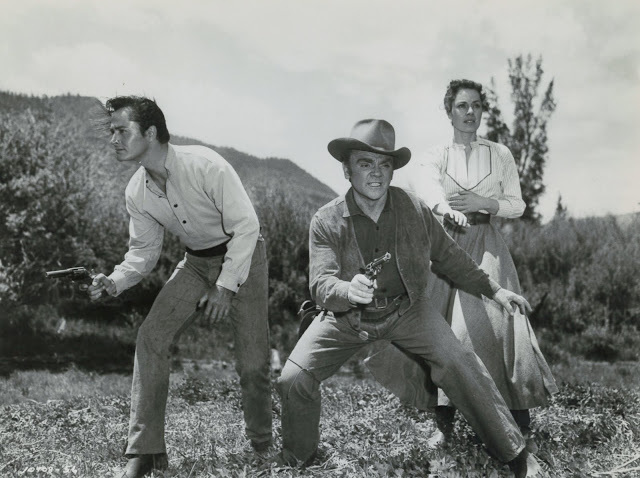 Like others of the Pine-Thomas group, Run For Cover's negative reverted to the producers and was theirs to re-title and reissue in 1961 as Colorado, independent Citation Films handling distribution. Run For Cover would be included among 22 Pine-Thomas titles syndicated to television through Jayark Films in November 1960, probably the earliest TV exposure for any Vistavision feature before Paramount began licensing others in the mid-60s (wait a minute --- I just remembered Richard III!). It would appear that Paramount is back in possession of Run For Cover, if packaging to Netflix and Dish Network is any indication. What's regrettable is their tendering such a substandard transfer for download on these services. I thought I was familiar with all of Cagney's movies at least by name. This is a new one on me. I think the Oklahoma Kid is a really good western in the William S. Hart tradition! I watched this in the correct aspect ratio at the PFA a few years back when they had their Ray retrospective. It has its moments. The greatest flaw in the movie, I think, was the casting of John Derek. Maybe the worst actor ever to play a major supporting role in a Ray movie? I don't recall if his character died a horrible death at the end. I might look forward to watching the movie again if that was the case. Thanks for the write-up, though. It is certainly one of the less-discussed films of Nick Ray. Can LUSTY MEN be viewed on NetFlix or any of these streaming sites, or is that movie still "locked up"? I don't think "The Lusty Men" is available on any of the streaming services at present, but being there are so many of these, I could be wrong. Run for Cover is notable also for demonstrating Cagney's employment of past experience to good advantage. In The Oklahoma Kid, he'd allowed himself to be outfitted with a fancy costume surmounted by an extravagantly outsized cowboy hat. That hat, in Humphrey Bogart's memorable phrase, made him look like "a giant mushroom." Bogart himself was in the picture, dressed entirely in black and playing a character called "Whip McCord." Between the name and the hat, he thought that he'd gotten the best of what was available. In Run for Cover, Cagney's hat and costume are a good deal more realistic, though it must also be said that, his love of horses aside, his dimunitive stature never allowed him to be a particularly impressive figure astride one. I'd never heard of this one either..I stayed away from Tribute To A Bad Man for a long time,not caring to see Cagney in a western,but when I finally sat down and gave it a fair spin,ended up likeing it very much. In his later years as a photographer I would see John Derek from time to time at a very popular art store in Westwood called Flax. I never spoke with him, as I recall, but he was not -- how can I phrase this delicately -- a pleasant person. I love the fact that you take your readers to film history subjects out of the ordinary. Always interesting and always original. Amazing how much Cagney looks like Vic Morrow in that first pic.